1. 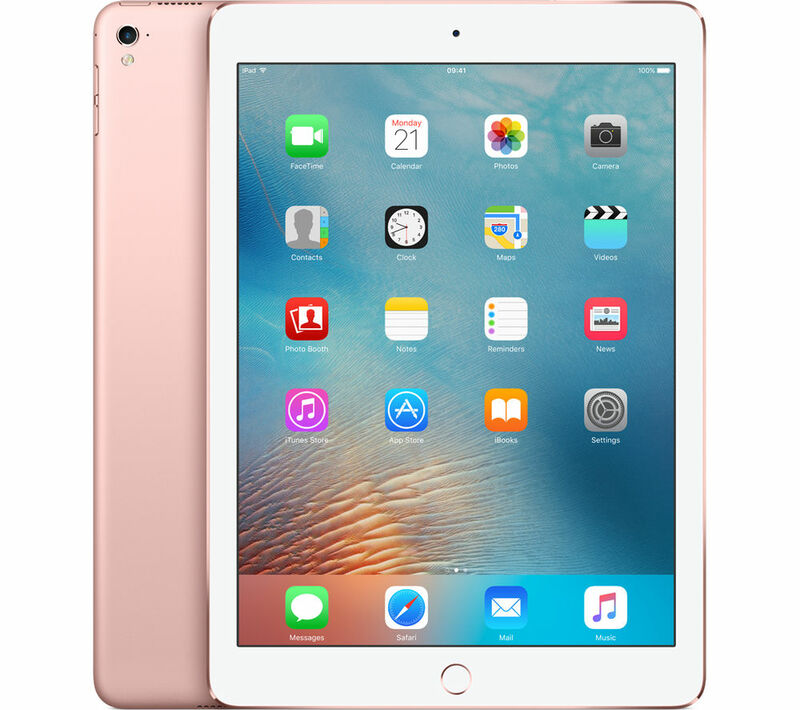 APPLE 9.7" iPad Pro Cellular - 128 GB, Rose Gold, Gold. Made for professional tablet computing with a powerful processor, the Apple 9.7” iPad Pro Cellular is more capable and versatile than any other iPad.Advanced displayThe 9.7” screen is the brightest and least reflective on any iPad, with the same colour space that is used in the cinema industry. The range of colour gives up to 25% greater colour saturation for a vivid, true to life look.Use your iPad Pro in any environment without sacrificing screen visibility with the True Tone display. Using advanced ambient light sensors, the colour and intensity of the screen automatically adapts to match the light wherever you are.Powerful performanceDesigned to handle tasks once reserved for desktops, the A9X chip gives the iPad Pro 1.8 times the CPU performance and double the graphics capability of the iPad Air 2.With incredible responsiveness, detailed visuals and fluid animations, you can lose yourself in the graphics quality, whilst performing complex actions with ease.The efficient architecture of the A9X chip enables up to 10 hours of battery life so that you can enjoy your favourite apps, games and music for even longer.Great quality camerasCapture stunning 4K video, 240-fps slow motion videos and live photos using the 12 MP iSight camera. Made complete with a true tone flash, the iPad's camera recreates skin tones as close to life as possible regardless of lighting.The front-facing camera is sharp and perfect for making lifelike high definition FaceTime calls. The 5 MP camera features retina flash with true tone for beautiful photos and high quality selfies.iOS 9Faster and more efficient than ever before, the iPad Pro comes preinstalled with Apple's latest operating system. iOS 9 is packed full of new features and apps, including the News app, which collates all the latest stories from your favourite apps and websites in once place so you never miss a thing.Multitasking takes advantage of the iPad Pro's performance and allows you to work on two separate apps at the same time for a more productive and easier way to work. Along with over a million apps and countless books, films, magazines and more, there are hundreds of new apps made just for the iPad Pro to make your life easier and more entertaining.With a high-fidelity speaker in each corner, all sound and music sounds rich and detailed with a wide, surround sound feel. The orientation of sound is directed to the top two speakers, no matter which way you hold the iPad.Incredibly portable with a lightweight aluminium body, the Apple 9.7" iPad Pro packs heavyweight performance into just 437 grams. 2. APPLE iMac 4K 21.5" (2015). 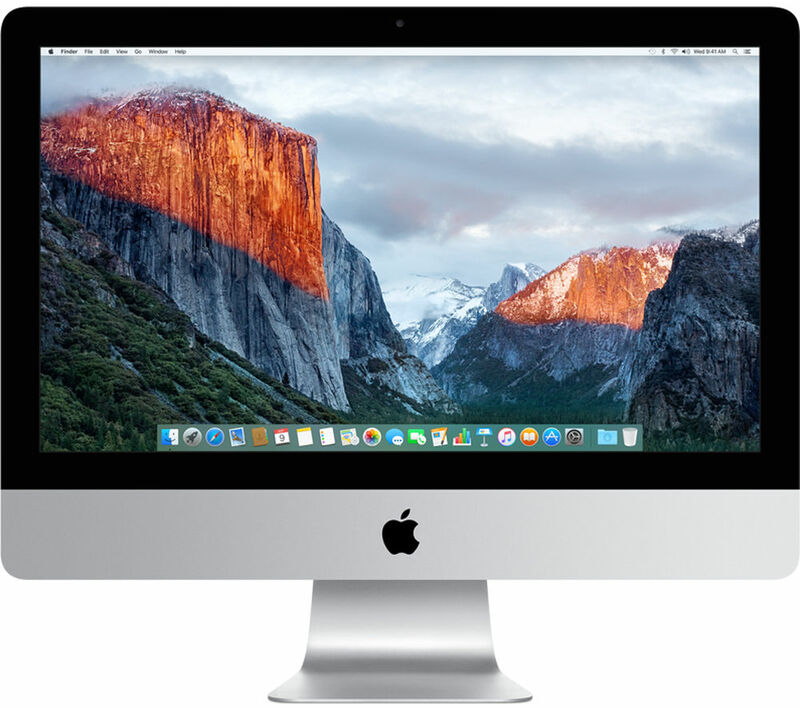 Experience the incredible quality of 4K computing with the Apple iMac 21.5” MK452B/A.4K Retina DisplayThe iMac 4K features an incredible 4K Retina Display. With a hugely detailed 4096 x 2304 resolution, it's the ideal screen for graphic design, editing photos and streaming the latest 4K films at their absolute best.Whatever you do on a daily basis will look stunning. OS X El Capitan The iMac runs on Apple's El Capitan operating system. Easy to navigate yet capable of professional-level computing, it provides a simple yet powerful platform for you to work, play and create the way you want to. El Capitan has plenty of new features to make your Mac easier to use:Split View fills the screen with two apps simultaneously for improved productivity and a more immersive work space. You can chat while you work on a presentation, keep an eye on social media and browse the web, or edit media with immediate reference to the source material. It works with any software, so the possibilities are endless.Finding files is quick and easy no matter how many documents you have, or how unorganised you can be. Spotlight search now understands natural language, so you can ask it to find the 'presentation I made last Monday' or 'email from Martin in October that contains the budget'.iCloud is integrated into every aspect of El Captain, so you can share documents between all your Apple products and enjoy the peace of mind that comes with automatic backup and Time Machine compatibility. Plus, any notes you save are automatically shared between your Mac and mobile devices, which allows you to edit and add to documents whenever and wherever you want to. The latest Intel tech From editing photos to simply enjoying films and browsing the web, you can expect a powerful performance courtesy of quad-core Intel Core i5 processing. Whether you're editing photos, working on a design project or simply typing an essay, you can get down to business without worrying about whether your Mac will keep up.Intel Iris Graphics give you improved visuals throughout all your daily computing. From games to graphic design, you can expect deep blacks, bright colours and fine detail that makes your media more immersive, your projects look their best and everyday computing sharp and engaging.Space-saving designSlim and built from Apple's signature aluminium alloy, the iMac 21.5” occupies minimal space and looks impressive in the office, studio or home. The design isn't entirely form over function either, as the IPS panel now sits flusher with the glass screen for improved clarity and reduced reflections. Beautifully designedThe aluminium and glass case houses all you need for high-performance modern computing, including integrated WiFi, USB 3.0 and two Thunderbolt ports.Magic Mouse and KeyboardIncluded is the latest Magic Keyboard and Magic Mouse, the former of which features redesigned keys for increased comfort and more accurate typing. The Magic Mouse 2 has redesigned runners and still lets you gesture anywhere on the trackpad to move between pages, scroll and more. You'll never have to fumble around looking for batteries again as both are rechargeable via Apple's Lightning cable. Just pop the cable in to charge - it only takes 2 minutes to add enough charge for 9 hours of use. 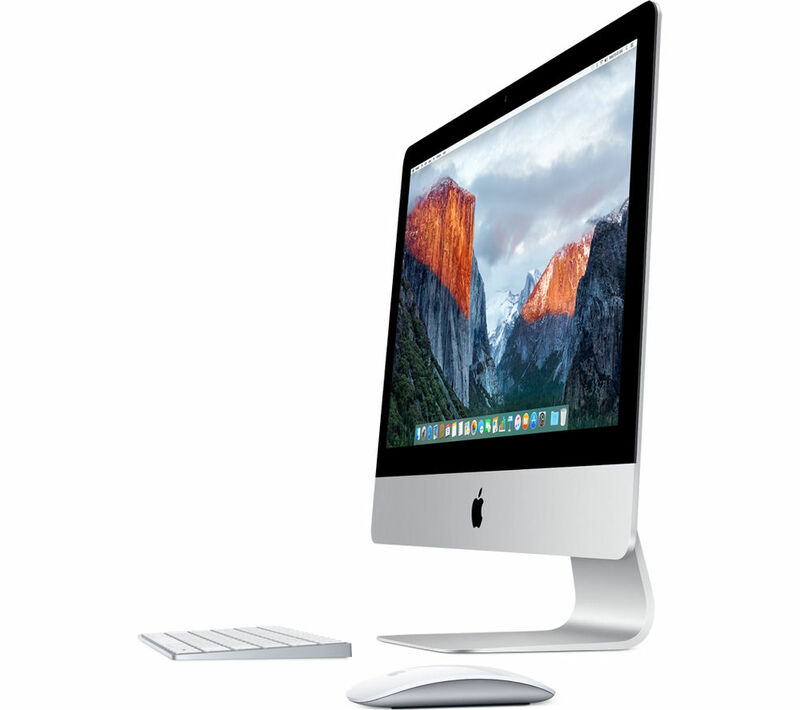 Charge for longer to get around a month's worth of working.Discover stylish Apple computing with the Apple iMac 21.5”. ___________________________________________________________________________ Ultrabook, Celeron, Celeron Inside, Core Inside, Intel, Intel Logo, Intel Atom, Intel Atom Inside, Intel Core, Intel Inside, Intel Inside Logo, Intel vPro, Itanium, Itanium Inside, Pentium, Pentium Inside, vPro Inside, Xeon, and Xeon Inside are trademarks of Intel Corporation in the U.S. and/or other countries. 3. APPLE iMac 21.5" (2015). Work, play and create with the powerful and beautifully crafted Apple iMac 21.5” MK442B/A. OS X El Capitan The iMac runs on Apple's El Capitan operating system. Easy to navigate yet capable of professional-level computing, it provides a simple yet powerful platform for you to work, play and create the way you want to. El Capitan has plenty of new features to make using your Mac easier:Split View fills the screen with two apps simultaneously for improved productivity and a more immersive work space. You can chat while you work on a presentation, keep an eye on social media and browse the web, or edit media with immediate reference to the source material. It works with any software, so the possibilities are endless.Finding files is quick and easy, no matter how many documents you have or how unorganised you can be. Spotlight search now understands natural language, so you can ask it to find the 'presentation I made last Monday' or 'email from Martin in October that contains the budget'.iCloud is integrated into every aspect of El Captain, so you can share documents between all your Apple products and enjoy the peace of mind that comes with automatic backup and Time Machine compatibility. Plus, any notes you save are automatically shared between your Mac and mobile devices, so you can edit and add to documents whenever and wherever you want to. The latest Intel tech You can expect a powerful performance courtesy of quad-core Intel Core i5 processing. Whether you're editing photos, working on a design project or simply typing an essay, you can get down to business without worrying about whether your Mac will keep up.Intel Iris Graphics and the Full HD screen give you improved visuals throughout all your daily computing. From games to graphic design, you can expect deep blacks, bright colours and fine detail that makes your media more immersive, your projects look their best and everyday computing sharp and engaging.Space-saving design Slim and built from Apple's signature aluminium alloy, the iMac 21.5” occupies minimal space and looks impressive in the office, studio or home. The design isn't entirely form over function either, as the IPS panel now sits flusher with the glass screen for improved clarity and reduced reflections. Beautifully designedThe stunningly crafted case houses all you need for high-performance modern computing, including integrated WiFi, USB 3.0 and two Thunderbolt ports.Magic Mouse and KeyboardIncluded is the latest Magic Keyboard and Magic Mouse, the former of which features redesigned keys for increased comfort and more accurate typing. The Magic Mouse 2 has redesigned runners and still lets you gesture anywhere on the trackpad to move between pages, scroll and more.Both are rechargeable via Apple's Lightning cable, so you'll never have to fumble around looking for batteries again. Just pop the cable in to charge - it only takes 2 minutes to add enough charge for 9 hours of use. Charge for longer to get around a month's worth of working.Discover stylish Apple computing with the Apple iMac 21.5”. ___________________________________________________________________________ Ultrabook, Celeron, Celeron Inside, Core Inside, Intel, Intel Logo, Intel Atom, Intel Atom Inside, Intel Core, Intel Inside, Intel Inside Logo, Intel vPro, Itanium, Itanium Inside, Pentium, Pentium Inside, vPro Inside, Xeon, and Xeon Inside are trademarks of Intel Corporation in the U.S. and/or other countries. 4. APPLE iMac 21.5" (2015). Work, play and create with the beautifully crafted Apple iMac 21.5”. OS X El Capitan The iMac runs on Apple's El Capitan operating system. Easy to navigate yet capable of professional-level computing, it provides a simple yet powerful platform for you to work, play and create the way you want to. El Capitan has plenty of new features to make using your Mac easier:Split View fills the screen with two apps simultaneously for improved productivity and a more immersive work space. You can chat while you work on a presentation, keep an eye on social media and browse the web, or edit media with immediate reference to the source material. It works with any software, so the possibilities are endless.Finding files is quick and easy, no matter how many documents you have or how unorganised you can be. Spotlight search now understands natural language, so you can ask it to find the 'presentation I made last Monday' or 'email from Martin in October that contains the budget'.iCloud is integrated into every aspect of El Captain, so you can share documents between all your Apple products, and enjoy the peace of mind that comes from automatic backup and Time Machine compatibility. Plus, any notes you save are automatically shared between your Mac and mobile devices, so you can edit and add to documents whenever and wherever you want to. Responsive computing From working on presentations to simply enjoying films and browsing the web, you can expect a flawless performance thanks to Intel Core i5 processing. Multitasking and demanding processes are aided by 8 GB of RAM, which makes for smooth computing regardless of how many software windows or tabs you're working on. Space-saving design Slim and built from Apple's signature aluminium alloy, the iMac 21.5” occupies minimal space and looks impressive the office, studio or home. The design isn't entirely form over function either, as the IPS panel now sits flusher with the glass screen for improved clarity and reduced reflections. Magic Mouse & Keyboard Included is the latest Magic Keyboard and Magic Mouse, the former of which features redesigned keys for increased comfort and more accurate typing. The Magic Mouse 2 has redesigned runners and still lets you gesture anywhere on the trackpad to move between pages, scroll and more.Both are rechargeable via Apple's Lightning cable, so you'll never have to fumble around looking for batteries again. Just pop the cable in to charge - it only takes 2 minutes to add enough charge for 9 hours of use. Charge for longer to get around a month's worth of working.Discover stylish Apple computing with the Apple iMac 21.5”. ___________________________________________________________________________ Ultrabook, Celeron, Celeron Inside, Core Inside, Intel, Intel Logo, Intel Atom, Intel Atom Inside, Intel Core, Intel Inside, Intel Inside Logo, Intel vPro, Itanium, Itanium Inside, Pentium, Pentium Inside, vPro Inside, Xeon, and Xeon Inside are trademarks of Intel Corporation in the U.S. and/or other countries. 5. APPLE MacBook Air 13.3". Experience high end Apple computing on the move with the impressively slim Apple MacBook Air 13.3”. OS X El Capitan The Mac Pro runs on Apple's intuitive El Capitan operating system. Simple to navigate yet capable of professional-level computing, it provides an expressive platform for you to work and play the way you want. iCloud is integrated into every aspect of OS X El Capitan, so you can share documents between all your Apple products and enjoy the peace of mind that comes with automatic backup and Time Machine compatibility. There are over 200 new features and updates compared to the previous generation OS, including improved software and device integration, new apps and enhancements for users with multiple displays. 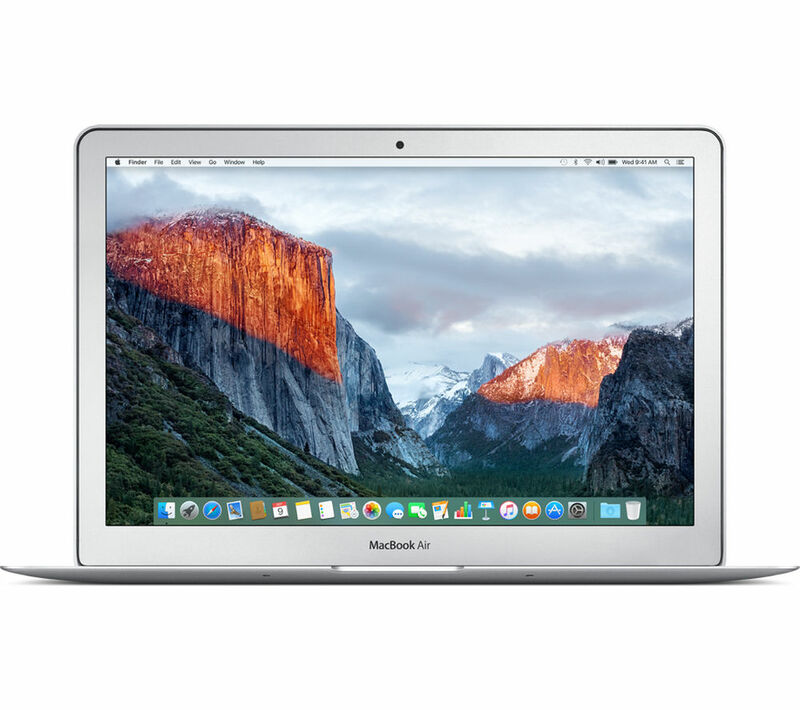 Responsive computing The MacBook Air is powered by an Intel Core i5 processor that delivers responsive, reliable computing whatever the task thanks to a capable 2.7 GHz TurboBoost clock speed. Intel HD Graphics 6000 offers impressive visuals across media and everyday computing, so you can enjoy HD films, browsing and all of your daily tasks at their best. Multitasking and demanding processes are aided by 8 GB of RAM which, when combined with the efficiency of OS X, delivers smooth computing regardless of what you're working on. Solid state storage There's plenty of room for documents and data on the 128 GB solid state drive (SSD). With far faster transfer speeds than regular hard drives, SSDs speed up saving, booting, loading and software so you can work and play without restriction. Compact and beautifully crafted The MacBook Air's impressively compact dimensions belie the features and design that make for a premium computing experience, including a detailed LED screen, backlit keyboard for comfortable typing in low-light conditions and a durable and stylish silver chassis. All day, everyday computing You needn't worry about running out of battery throughout the day thanks to a 12 hour active battery life, while standby mode keeps the computer primed for use for up to 30 days. If you find yourself working for long periods of time, you can do it comfortable and accurately with the backlit keyboard that automatically senses the lighting conditions and sets the light level accordingly. 6. 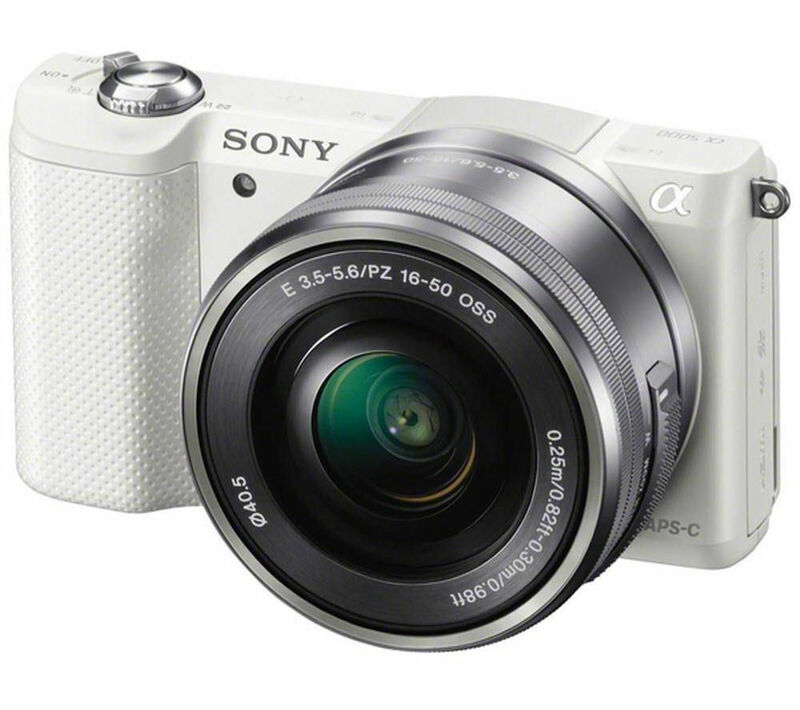 SONY a5000 Compact System Camera with 16-50 mm f/3.5-5.6 OSS Zoom Lens - White, White. Top features:- Image quality that captures stunning details, colours and textures- Compact camera that is lightweight and portable- Simple shooting with handy tilt-screen for fine tuning photos- Creative features with intelligent modes and image editing- One-touch photo sharing with NFC and Wi-Fi connectionImage quality The Sony a5000 Mirrorless Camera is equipped with a 20.1 megapixel Exmor APS-C CMOS sensor that captures stunning details and allows you to creatively defocus areas of your images. It's been teamed with a fast-acting BIONZ X image processor engine that realistically recreates textures and colours. With a sensitivity range of ISO 100 to 16000, you'll be able to shoot even darker scenes without using a flash, preserving tone and atmosphere. Compact You won't have a problem handling the Sony a5000. It's exceptionally lightweight and compact, making it great for travel and one of the lightest mirrorless digital cameras available. It's the ideal combination of heavyweight performance features and superb manageability for better mobile photography. Simple shooting With fast autofocus you're assured of fantastic results, and the option is there to manually focus the camera if you prefer to take control yourself. There's a 3” TFT LCD screen that can be tilted through 1800C. Flip it up to fine-tune your compositions, taking high-angle shots more easily or achieving better shots from low positions for more dynamic photographs. Creative features The cameracomes with a host of great features to make creative shooting and image editing more achievable and rewarding. Superior Auto and Intelligent Auto modes allow you to simply point and shoot to achieve great results. Elsewhere, Photo Creativity mode allows you to easily adjust Background Defocus, Brightness, Colour and Vividness. Add Picture Effects and observe them in real time, or use PlayMemories Camera Apps to download new editing and shooting features. One-touch photo sharing You won't need cables or other connections to share images. Simply place the camera against an NFC smartphone or tablet to establish connection, then instantly share photographs and videos as you please. There's a preinstalled Smart Remote Control that gives you control of the camera using a smartphone or tablet, drastically increasing your shooting options. 7. 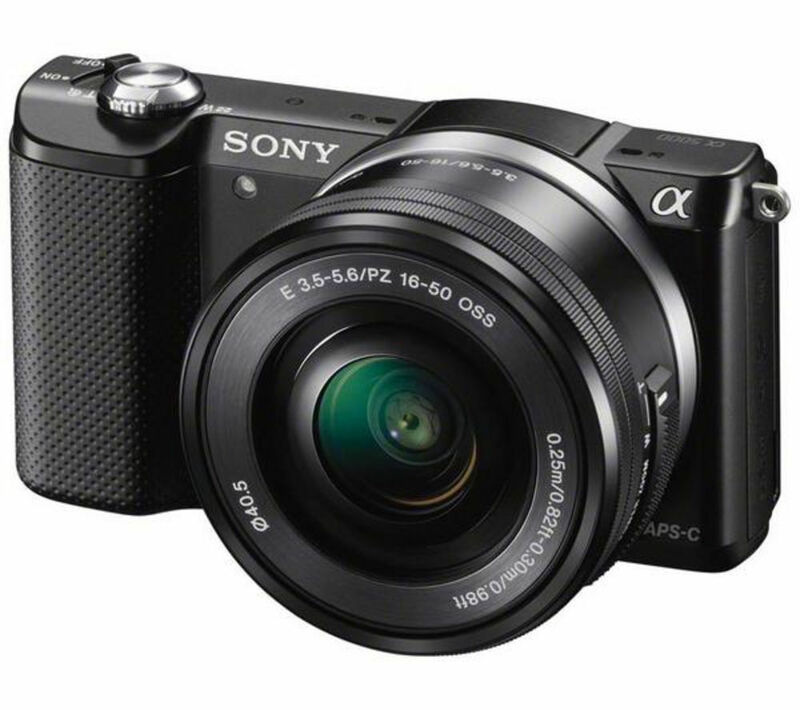 SONY a5000 Compact System Camera with 16-50 mm f/3.5-5.6 OSS Zoom Lens. 8. CANON PIXMA iX6850 Wireless A3 Inkjet Printer. Print A3 documents from your laptop, tablet or smartphone with ease with the Canon PIXMA iX6850 Wireless A3 Inkjet Printer.Quality A3 printingThe PIXMA iX6850 delivers professional quality prints thanks to an impressive 9600 x 2400 dpi print resolution that makes the most of pictures, documents and anything else you regularly print.Ink is delivered by five individual cartridges that help reduce running costs by allowing you to replace your most used cartridges without affecting the rest - perfect for businesses that regularly print branded letterheads or a particular type of image.Images arrive quickly too thanks to an ISO proven 14.5 pages per minute print speed that won't leave a busy office waiting.Wireless connectivityThe PIXMA iX6850 gives you the choice between USB, Ethernet and wireless connectivity, making it simple to set up your office or work space the way you want.You can even print wirelessly from your Android, IOS and Windows RT equipped tablet or smartphone for easy and fluid mobile printing.Large capacity cartridgesIf you find yourself regularly running out of ink or printing in large quantities, Canon's optional XL and XXL cartridges provide a cost-effective way to keep printing for longer between refills.Ideal for small businesses or busy homes, the Canon PIXMA iX6850 Wireless A3 Inkjet Printer takes the stress out of large-page printing. 9. 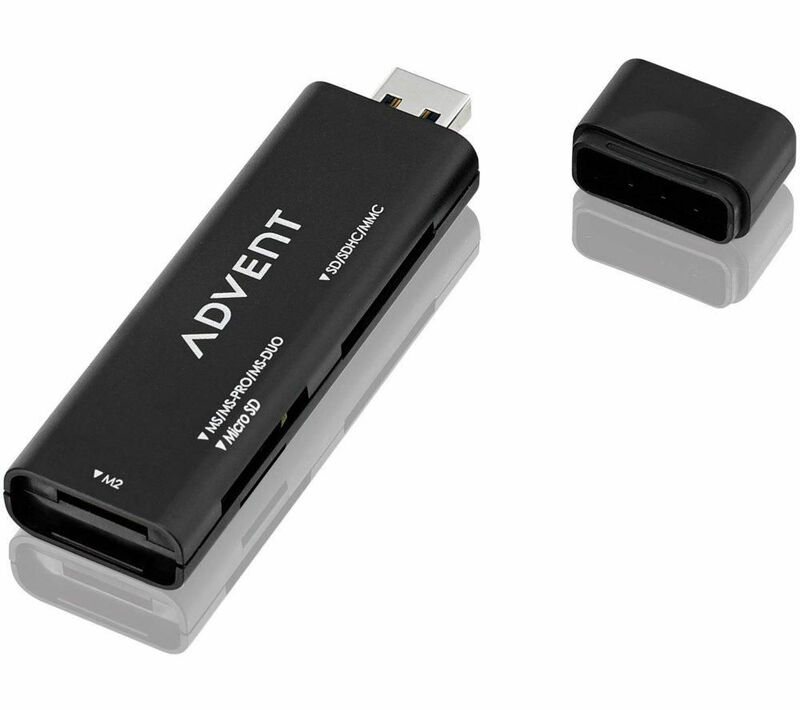 ADVENT ACR14 USB 3.0 Memory Card Reader. This Advent ACR14 USB 3.0 Memory Card Reader is a great tool for transferring photos and other files from memory cards directly to your PC.A practical computer accessorySince digital devices like cameras, camcorders, voice recorders and others record audio and video onto different storage media, it helps to have a versatile transfer peripheral handy.Save yourself the hassle of using different card readers or even moving files between different computers and hard drives with the Advent ACR14 Memory Card Reader.Compatible with different memory cardsYou'll be able to use Memory Stick, Memory Stick Pro, Memory Stick Duo, SD, SDHC, MMC, Micro-SD and M2 memory cards with your Advent ACR14. It's compatible with Windows XP, Vista, 7 and 8 operating systems, and all you need is a USB 2.0 port to use the reader.The multi-compatible Advent ACR14 USB 3.0 Memory Card Reader makes transferring files from your digital camera and other devices quick and simple. 10. CANON PIXMA iP2850 Inkjet Printer. 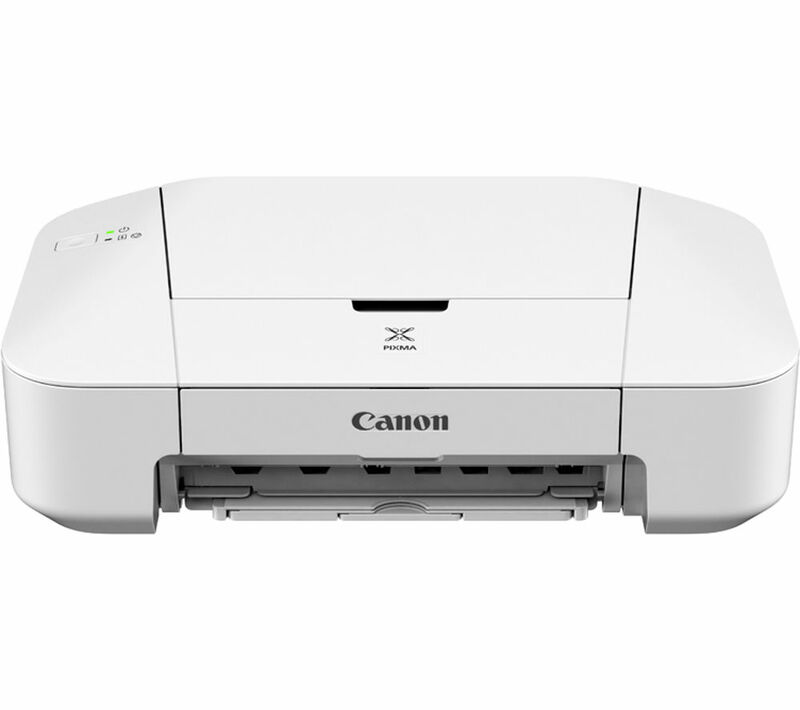 Enjoy efficient home printing with the Canon PIXMA iP2850 Inkjet Printer in white. Quality printing made easy With its quality design and reliable features, this Canon inkjet printer will help you generate clean, professional-looking text documents and images. The PIXMA iP2850 allows you to print with impressive detail levels thanks to Canon's FINE technology and hybrid ink system. Dye-based inks allow the colour cartridge to deliver vivid colour prints, while the black cartridge gives you crisp, satisfying text. Print on a range of paper sizes, including photo paper, so you can print some of your favourite snaps. Hook it up via USB and fit it onto your desk without a problem thanks to its compact design. Cost-effective printer You'll save money using the Canon PIXMA iP2850, which accepts two ink cartridges to make everyday printing easier and more affordable. Use compatible XL cartridges to print considerably more pages and delay ink replacements for longer. These are great if you print often and can help you save up to 30% per page in comparison to standard equivalent models. Intelligent features The Canon PIXMA iP2850 Inkjet Printer comes with My Image Garden software, a great package that makes organising and printing your photos straightforward. It offers advanced features such as face recognition, letting you search through all the images on your computer to build attractive original designs to print - even images you've stored ages ago and forgotten about. Using the Auto Clip function of the Easy-WebPrint EX plug-in for Internet Explorer, you can easily print out just the information you need from the web. Clip your desired sections from multiple web pages and print them onto one sheet to save paper. More savings for you Take advantage of clever features such as Auto Power On/Off with the Canon PIXMA iP2850. These respectively turn the printer on for convenience when you initiate printing, and off to save energy when you aren't printing. The machine also operates with a Quiet Mode that drastically cuts down operating noise so that you can print more silently at home. 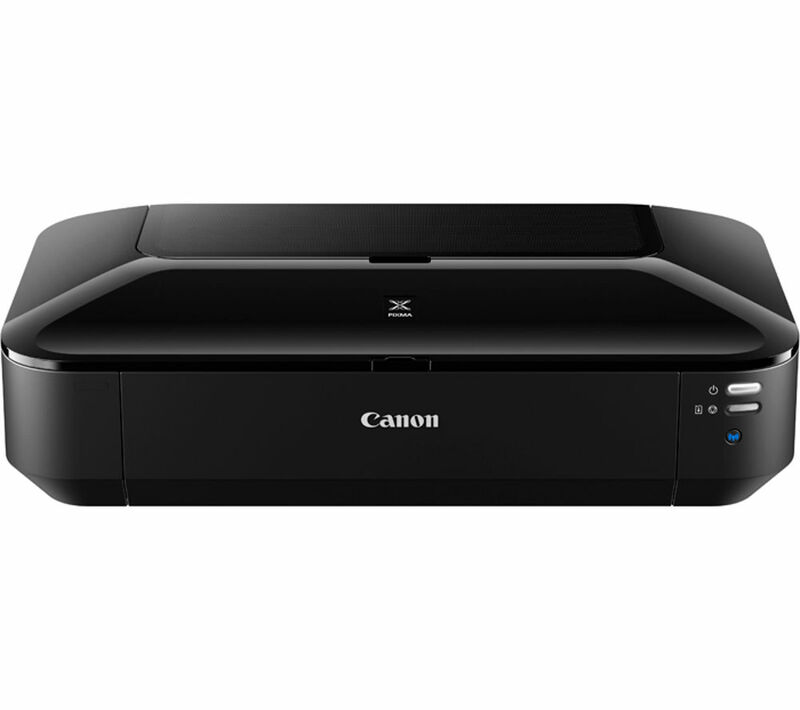 The Canon PIXMA iP2850 Inkjet Printer is a great home printer that will save you money. 11. VENOM VS2851 Xbox One Twin Docking Station. You'll always be ready for your favourite games with the Venom VS2851 Xbox One Twin Docking Station. The VS2851 allows you to dock, store and rapidly charge two of your Xbox One controllers. This docking station includes two NiMH rechargeable battery packs for use with your controllers. 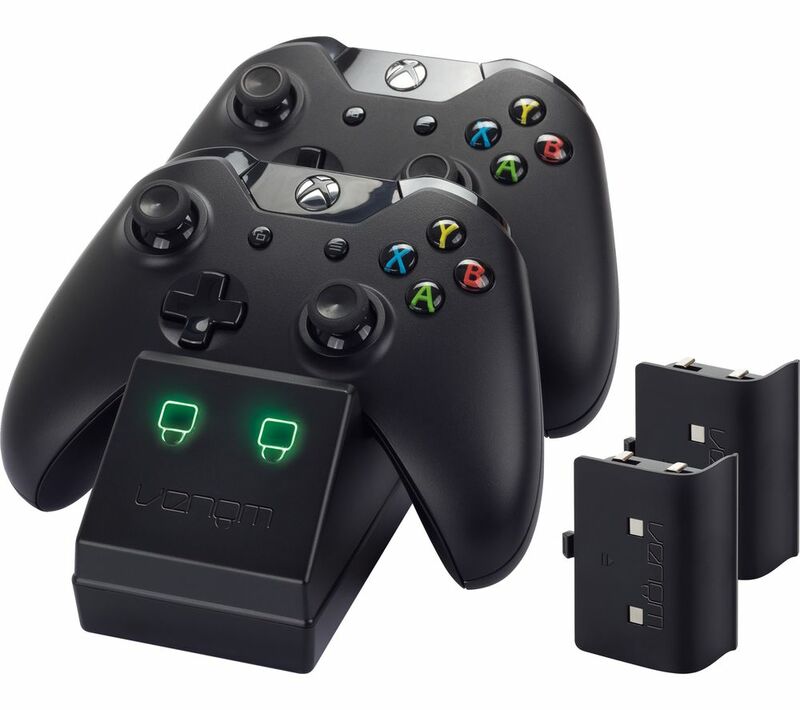 Keep your controllers charged and ready to go when you use the Venom VS2851 Xbox One Twin Docking Station. 12. 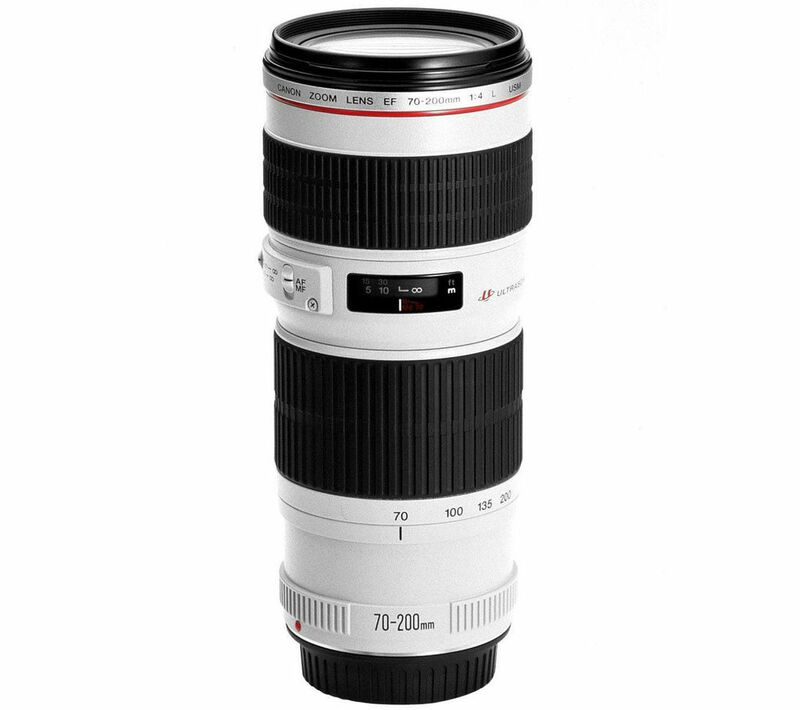 CANON EF 70-200 mm f/4 USM Telephoto Zoom Lens. The Canon EF 70-200 mm f/4 USM Telephoto Zoom Lens is an ideal travelling companion, maintaining excellent optical performance whatever the environment.Fine optics Compact, manoeuvrable and low-mass, this telezoom lens features professional-standard L-series optical technology for outstanding optical performance and usability. These superior-performance optics are also resistant to moisture and dust for all-round shooting excellence.You'll be able to use the maximum aperture of f/4 at all focal lengths, so your exposure settings won't fluctuate as the lens is zoomed across its full range.A non-rotating front element simplifies the use of filters, such as polarisers. With a virtually circular aperture diaphragm, the EF 70-200 mm Lens will render out-of-focus areas with a softer, more uniform feel whilst sharply realising foreground objects for amazing clarity and compelling depth. Silent focusing A ring-type ultrasonic motor drives the autofocus system very rapidly and in virtual silence too, aiding focusing accuracy. Excellent holding torque ensures the point of focus is precisely achieved without the risk of overshooting. There's also a full-time manual mode that makes it possible to adjust focus without leaving AF mode, keeping you in control. The EF 70-200 mm Zoom Lens is just 172 mm long and weighs a mere 705g, making it ideal for jobs where you need to travel light but shoot in high quality. Quality lens elements Incorporating a single fluorite element and two UD (ultra-low dispersion glass) elements, the lens successfully suppresses secondary chromatic aberrations, giving you crisp, high-contrast photos free from distortion and colour fringes. Superior colour balance and enhanced contrast are ensured by the use of Super Spectra coating, which also cut down flare and ghosting, common issues caused by light reflecting off the camera's sensor.Enjoy exceptional long-range photographic quality with the Canon EF 70-200 mm f/4 USM Telephoto Zoom Lens. 13. FUJIFILM FUJINON XF 27 mm f/2.8 Pancake Lens. This compact Fujifilm FUJINON XF 27 mm f/2.8 Pancake Lens offers high performance optics that cover a broad range of uses.Focal excellenceThe lens has a fixed 27 mm focal length that has a field of view that's similar to the human eye, allowing you to capture scenes as naturally as you see them. Explore ideas creatively by adjusting the distance to the subject or by changing angle.The high quality optical construction includes a glass moulded aspheric element which reduces distortion.Compact and lightweightOnly weighing a mere 78 grams and measuring 23 mm in length, this ultra slim lens keeps the camera compact when mounted, making it well suited to active photography adventures.High-speed AFIncorporating a high-torque DC coreless motor, the FUJINON XF lens drives high-precision AF for ultra responsive shooting. This is very impressive for a single focal length lens. The motor shifts all the front elements (5 elements in 4 groups) to capture fast moving subjects in sharp detail.Bokeh effectYou can isolate the subject with a gorgeous bokeh effect, great for nature shots and portraits. The seven-blade round diaphragm allows you to shoot with a shallow depth of field.Sharp and clearEnjoy outstanding resolving power thanks to the advanced optical design. With FUJINON's proprietary HT-EBC coating, the lens draws a large amount of light into the camera's sensor, resulting in exceptionally sharp photos. Focus ringA premium-quality focus ring constructed from metal allows for a precise manual focus performance. 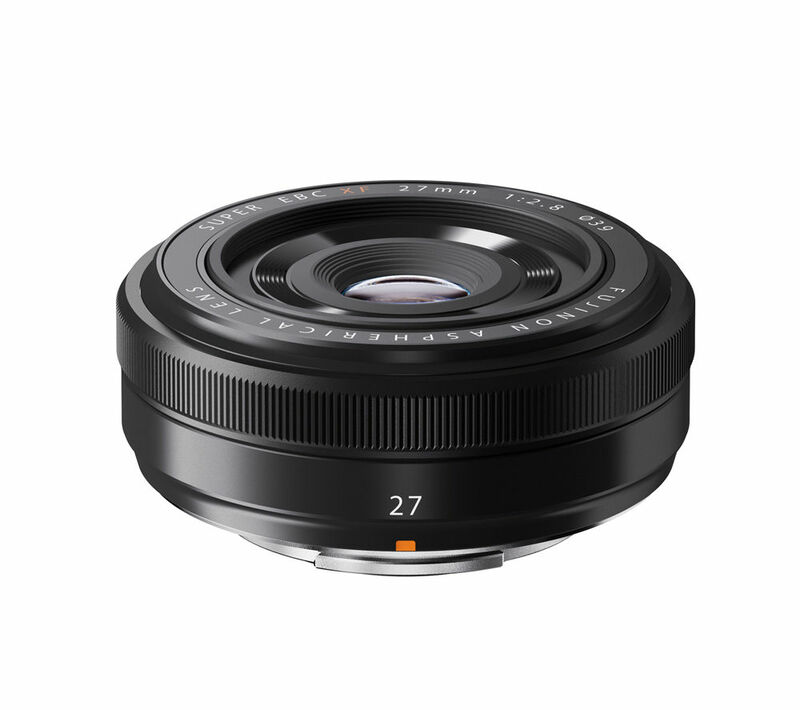 The design ensures comfort while providing the right amount of torque when rotating.A superb choice of lens, the Fujifilm FUJINON XF 27 mm f/2.8 Pancake Lens is well suited to everything from portraits to landscapes and architectural shots. 14. 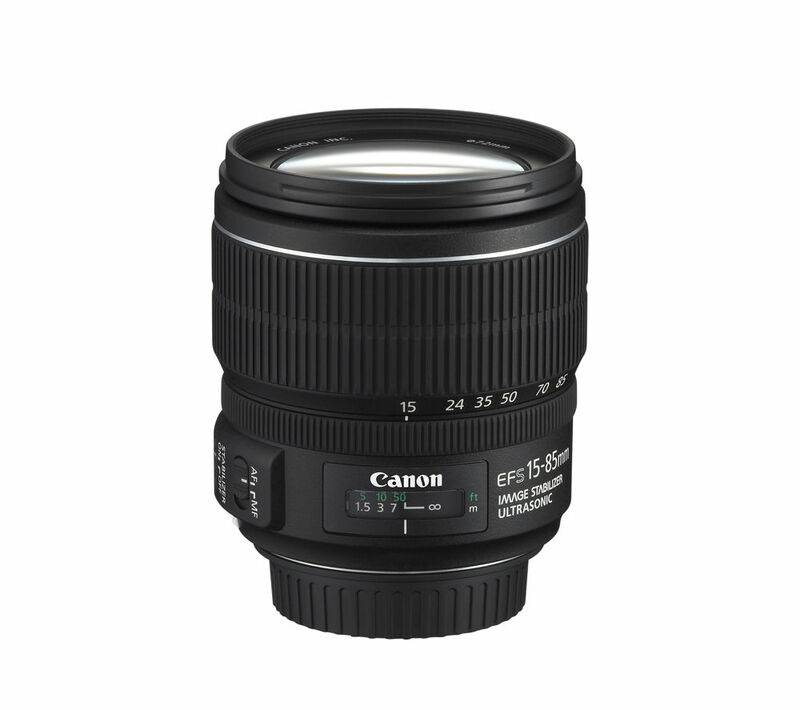 CANON EF-S 15-85 mm f/3.5-5.6 IS USM Zoom Lens. Fit the Canon EF-S 15-85 mm f/3.5-5.6 IS USM Zoom Lens to enjoy a high standard of performance in an all-round standard zoom lens. Capture better photos thanks to a combination of an extensive zoom range with wide angle and telephoto plus a 4-stop Image Stabilizer, delivering outstanding performance and flexibility.Amazing zoom image qualityTake in wide-angle scenes with this top-performing Canon zoom lens, featuring an effective focal length range of around 24 - 136 mm (35 mm equivalent).All your shots will look crisp and inviting with a wider angle than many comparable lenses, as you take in more of the scene and lend enhanced space and perspective to your photography.Enhanced steadiness for your shotsThe Canon EF-S 15-85 mm Zoom Lens is equipped with Canon's four-stop Image Stabiliser (IS), making it great for handheld shooting.You'll be able to use shutter speeds some four stops slower than normal without causing image blur, an especially handy feature when taking photos in low light or whilst moving.A USM (UltraSonic Motor) has been fitted to allow for exceptionally fast and near-silent autofocus. It employs ultrasonic frequency vibrations to enable this fantastic facility, and this ring-type USM also permits full-time manual focus override without you having to exit AF mode. It all adds up to a supremely usable lens.Advanced lens propertiesSuper Spectra coating on the Canon EF-S 15-85 mm f/3.5-5.6 Zoom Lens actively suppress flare and stop ghosting from occurring. This aberration is common in digital cameras, where reflections off the image sensor can destroy image quality in certain lighting conditions.Achieve beautifully natural colour balance and take shots with improved contrast for overall high-fidelity photographs.With its seven-blade circular aperture, the lens helps you to achieve a gorgeous background blur, where smooth backdrop textures serve to emphasize sharper foreground subjects for more compelling images.The lens also comes with automatic panning and tripod detection for quicker, more convenient setup while shooting.Expand on your EF-S mount camera with a Canon EF-S 15-85mm f/3.5-5.6 IS USM Zoom Lens. 15. PHILIPS EXP2546/12 Personal CD Player - Black, Black. 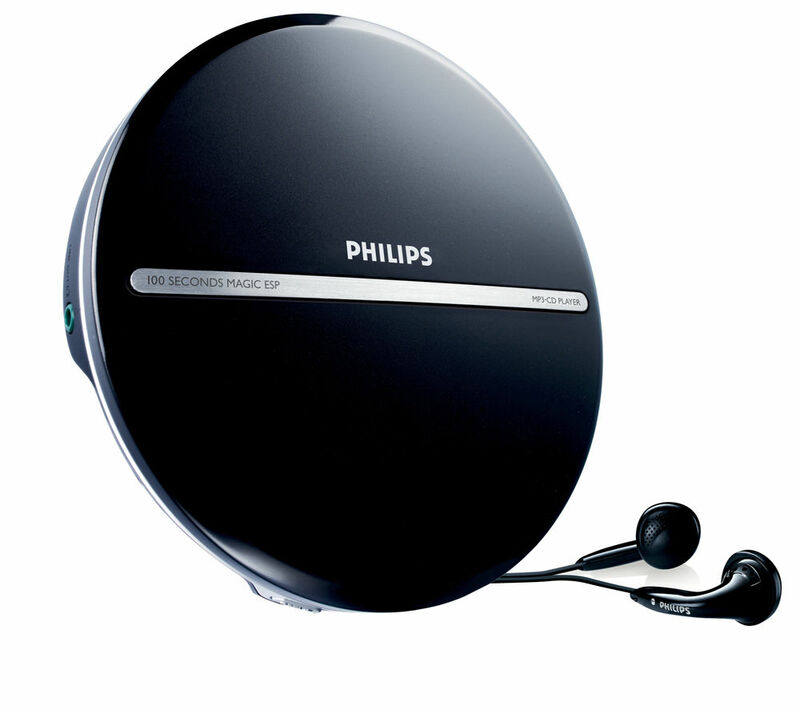 The Philips EXP2546/12 Personal CD Player in black is a compact way to enjoy your CD collection on the go - plus it plays MP3 CDs.Forward-thinking retro designIf you enjoy listening to CDs while you're mobile, this Philips portable CD player is for you.Because it's compatible with MP3 CDs, the EXP2546 enables you to create customised MP3 playlists on your computer at home so that you can make the most of your on-the-go listening time.Portable advantagesThe EXP2546 MP3 CD Player lets you keep grooving with the facility for you to enjoy 10 hours of music from a single MP3 CD.Its solid design and 100-second Magic ESP technology ensures skip-free playback, and Dynamic Bass Boost really ramps up the power for increased music satisfaction. Check what's playing and monitor player status with the built-in LCD display.Give yourself more choice in a traditional design with the Philips EXP2546/12 Personal CD Player, providing you with a hassle-free way to enjoy music when you're away from home.